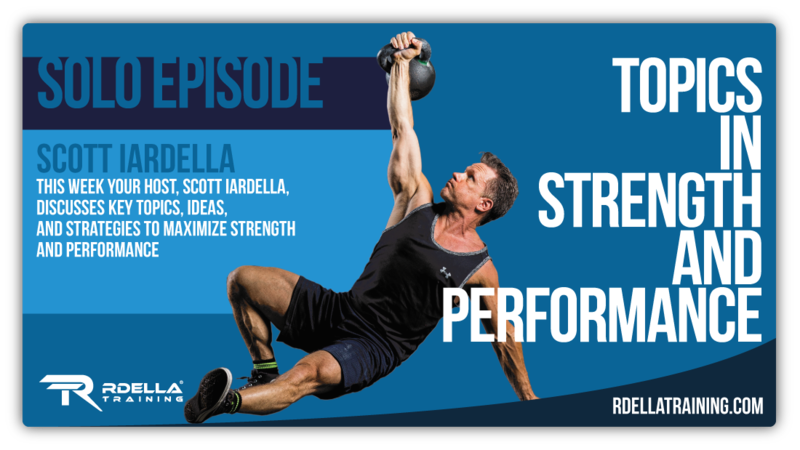 (#179) In this week's show, I'll share with you 5 of my biggest takeaways from the recent Perform Better Summit. The Perform Better Summit is a fantastic 3 day "live" event with some of the best names and authorities in fitness and performance training. Presenters included Gray Cook, Dr. Stuart McGill, Charlie Weingroff, Martin Rooney, Mike Boyle, Nick Winkelman, and many more. (#178) In this solo episode, I'll discuss one of the best shoulder mobility tools I've come across - and it's NOT a kettlebell! This amazing device not only improves shoulder mobility and overall shoulder "health" but it does so much more... In this session, I'll share my complete review and how I use this tool in my own training program as a great addition to anything I do. I highly recommend this amazing tool for mobility, stability, strength, conditioning, motor control, and as a simple and effective "warm-up" for any training regimen. Learn about all the great benefits of this amazing tool in this short episode. (#177) Josh Trent joins the podcast this week. This is a unique interview, packed with value and useful information. Josh is a wellness consultant, corrective exercise specialist, digital health coach, podcast host and founder of Wellness Force. His motivation to create Wellness Force and coach over 10,000 training sessions is rooted deep in the fabric of where he came from; an early childhood and adolescent life plagued with weight and health struggles. 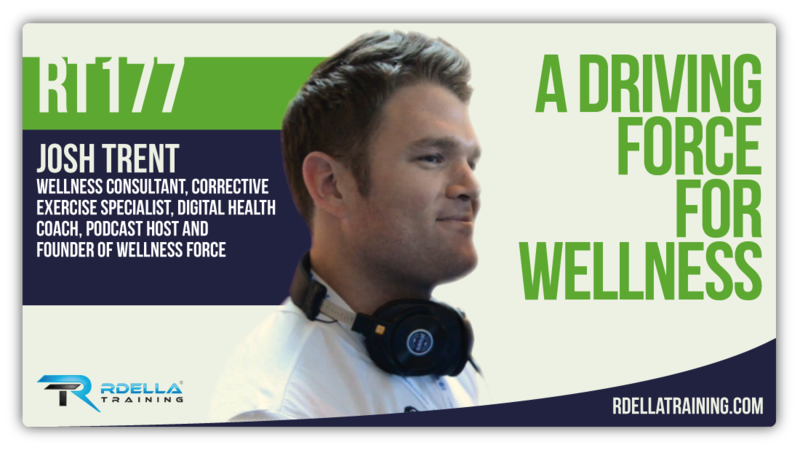 In his podcast – Wellness Force Radio – Josh interviews some of the most inspiring and passionate experts in the areas of behavior change, health, wellness technology and fitness. In this session, Josh takes us through his fitness journey and shares how he was able to break his unhealthy habits and is now on a mission to empower greater wellness in over one million lives through technology. 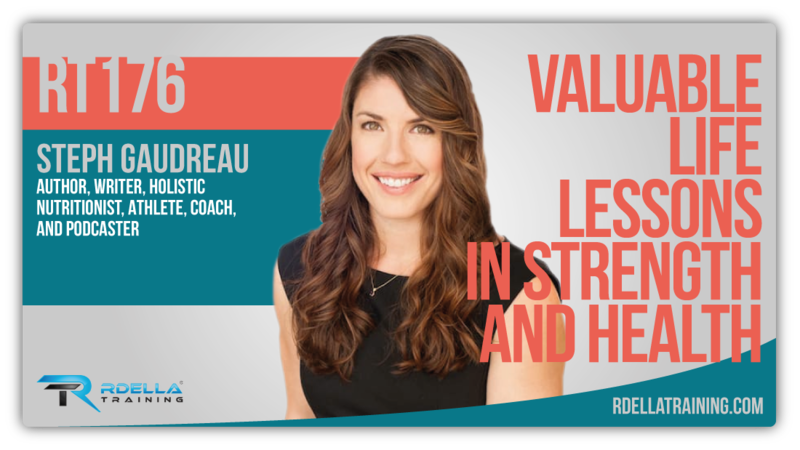 During our talk, we also chat about about a number of topics including the emotional side of training, fitness tracking apps, improving sleep, the link between stress and food, habits, emotional intelligence, mindfulness, and the list goes on. (#176) Steph Gaudreau joins the podcast this week for one of the most dynamic interviews I’ve had on the show. This is a fun, free-flowing, and incredibly informative chat session! Steph is a holistic nutritionist, weightlifting coach, best-selling author, blogger, and founder of StephGaudreau.com. She helps women get strong, fit and confident so they can stop wishing and start doing. 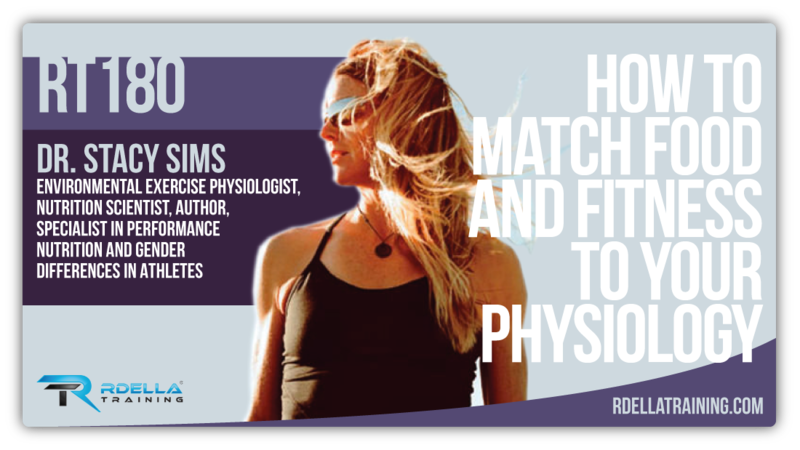 Steph is the author of two bestselling books, The Performance Paleo Cookbook and The Paleo Athlete. She is also the creator of the top-rated podcast Harder to Kill Radio, in which she interviews experts in fitness, nutrition and mindset about how to achieve greater health. In this session, Steph shares her story and explains how she quit her job as a science teacher to pursue a life in the strength game. We also talk about a variety of topics such as back pain, training methods, health & longevity, sleep, and so much more! 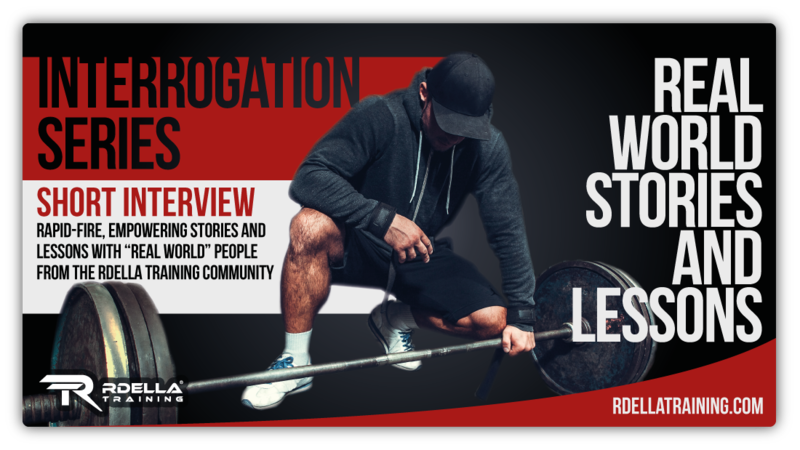 In this fantastic interview, you'll learn the big picture approach to training to optimize health and start taking full control of your life. 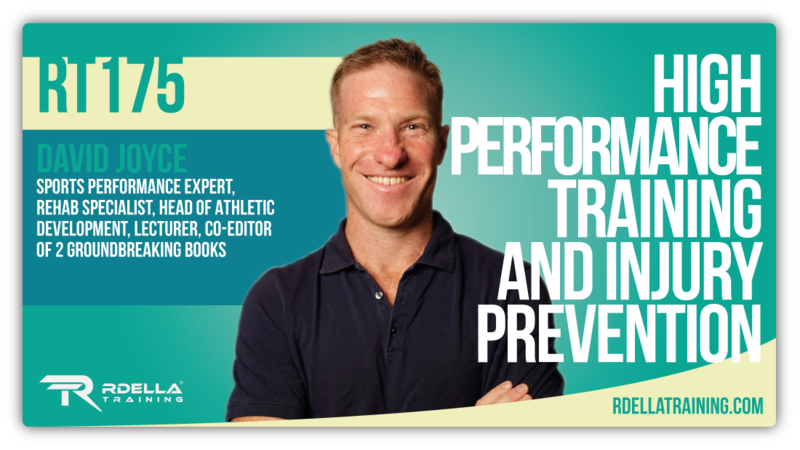 (#175) David Joyce, a world-leading expert in athletic performance and injury prevention, joins the show this week to discuss his approach to peak performance and preventing injury. David is the head of athletic performance for GWS (Greater Western Syndey) Giants in the Australian Football League in Sydney, Australia. He specializes in strength and conditioning, sports medicine science, nutrition, psychology, recovery, and rehabilitation. He has a Bachelor in Physiotherapy and Masters in Sports Physiotherapy, as well as in Strength & Conditioning. He’s been a part of two Olympic teams with China and Great Britain, and he’s worked in the English football Premier League. He is also the co-editor of two ground-breaking books – Sports Injury Prevention and Rehabilitation and High-Performance Training for Sports – together with Daniel Lewindon. (Interrogation Session #4) The next installment of the interrogation series features Jessica Aspiras. After a very successful job in corporate America, Jessica left her job to pursue her true passion - a career in fitness. Hear how she left the "corporate world" and put together a 6-week plan to pursue her passion. She talks about her lessons from "corporate life" that were transferrable to her career in fitness. Jessica has a great story and you'll get her key advice to take away from this short interview session! (#174) Charlie “The Spaniard” Brenneman, is today’s guest on the podcast and he’s here to share his transformational life story, from classroom to cage. This is a fun and informative interview that I know you’re going to love! 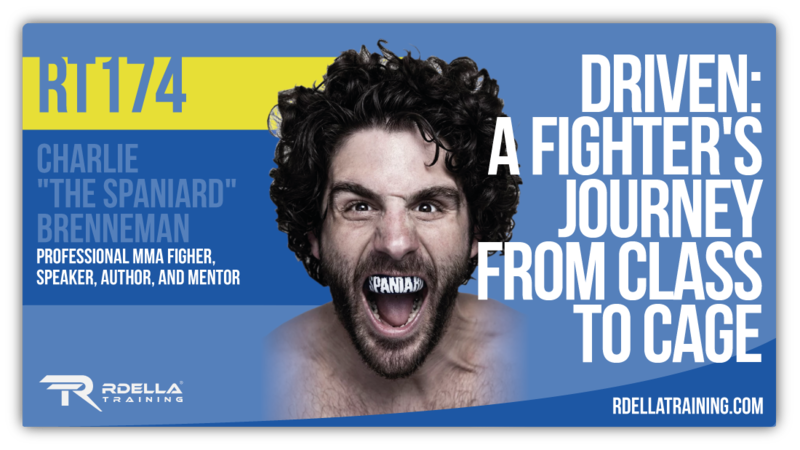 Charlie “The Spaniard” Brenneman is a professional mixed martial arts fighter, speaker, and mentor. Following a successful high school wrestling career, Charlie took his talents to Lock Haven University where he achieved a top 12 finish at Division I Nationals and 1st Team All-Academic. After teaching Spanish for three years and winning Spike TV’s Pros vs. Joes, Charlie decided to leave his job to pursue a master’s degree and begin his professional fighting career—“The Spaniard” was born. In 2011, he was ranked as high as #7 in the world.